Working with dogs has been my passion since I qualified as a Veterinary Nurse more than 20 years ago. Over time my passion has developed and strengthened in many areas - from dog well-being to behaviour and obedience training. 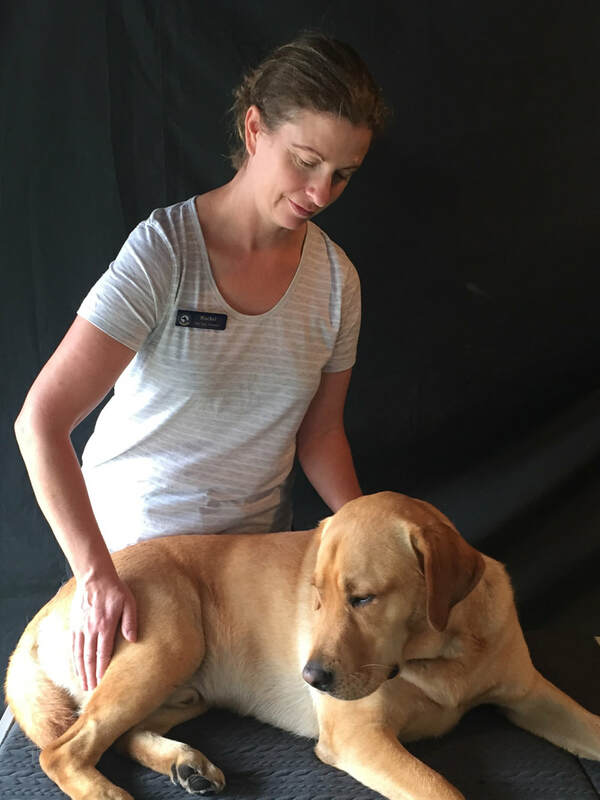 In 2016 I completed my certification in canine massage through the National College of Traditional Medicine in Melbourne. With a goal to bring a high standard of professionalism and certified experience to my clients and their owners, I started Purely Canine. Here at Purely Canine, it’s not just providing a professional and reliable dog walking and pet care service. Above all, I love the time I spend with the dogs, giving them the fun, adventure and cuddles they deserve each day. ​Harry adores his walks with Purely Canine. As he is a young pup, we love the fact that Rachel works on all his basic commands during his walk. He is learning so many positive behaviours which we benefit from as well!! Louis is my 5 year old Doberman who has a spinal condition. Rachel began massaging Louis as a case study while she was training, and the difference in him was immediate. He now receives monthly maintenance massages from Rachel and this helps to keep in a pain free state. Rachel has developed a close bond with Louis and she has even helped him regain his confidence, so he enjoys all aspects of his life both physically and mentally. Rachel has an outstanding level of professionalism and a natural affinity with dogs. I would highly recommend her to any dog owner.